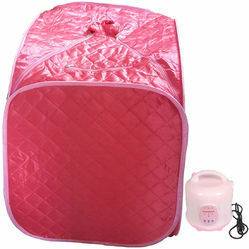 This portable steam sauna helps in burning extra calories and detoxifies the body. It brings a glow to the skin and makes it look younger. It also comes with all the benefits of aromatherapy for healing and soothing the mind and body. Feel fresh and stress-free with this steam sauna that also improves metabolism and digestion. This personal steam bath is so unique that you can take this with you on vacation or to your cottage.